I recently received this picture from a fellow Find-a-Grave member. It also shows on that website (which I much prefer to Billion Graves, despite what seems to be such a big push to the latter). 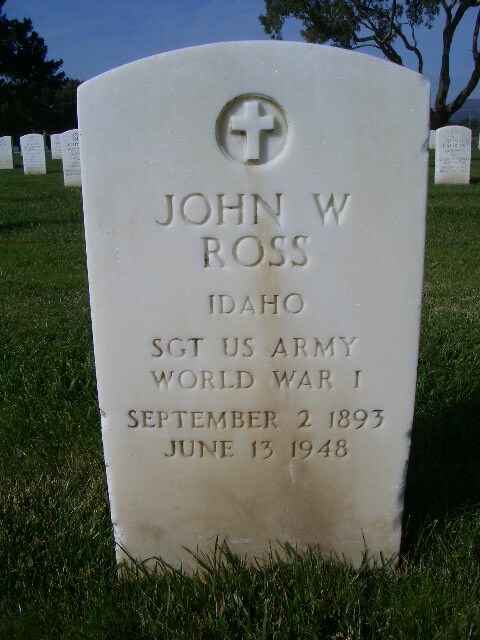 This photo confirms that John William Ross is buried at Golden Gate National Cemetery and not San Francisco National Cemetery. I updated their history with the photo as linked in the previous sentence. Golden Gate National Cemetery is in San Bruno, San Mateo, California. I will have to make it a stopping point the next time I am in San Francisco and have some time (apparently about 15 miles from downtown). This entry was tagged California, Ross, San Bruno, San Francisco. Bookmark the permalink.